DATC: Carolyn – thanks for talking to downatthecrossroads. First of all, congratulations on the new album, Peace Meal – it’s terrific and it’s had great reviews. Fantastic guitar work by you and the singing is outstanding. Have you been pleased at the way it’s been received? I feel like we got to pay homage to the shoulders upon which we are standing, covering some songs that either friends wrote like Vince Welnick/Robert Hunter’s Golden Stairs (Vince and I were in Jerry Lightfoot’s Band of Wonder a decade ago, before he and Jerry were bugled upstairs to make music with the angels) and songs that friends helped me to when I was starting off, like Little Screaming Kenny’s arrangement of Two Trains & I Can Tell (LSK is one of my favorite people in this world). We get to play for folks and I’m happy to say we just keep chugging along, picking up new songs along the way for the next one. DATC: You cover songs by some of the greats on the album – Robert Johnson’s Dust my Broom, Janis Joplin’s What Good Can Drinking Do and Bob Dylan’s Meet Me in the Morning. All excellent treatments, by the way – are these some of your blues heroes? Who (else) has been a major influence on you along the way? Carolyn: Growing up in Texas, young girls learn to only sing Janis’ songs in private. In public would be silly, as no one can do it better and few can do it justice. When I was asked in 2009 to play at the Rock and Roll Hall of Fame‘s American Music Masters Tribute to Janis, I was floored, humbled and thrilled to be there. So many great artists doing cool and original twists with her songs. That night I decided that, even though I couldn’t do it better, I’d like to try to do justice to one of the songs she wrote. So, the next night…in public…with no rehearsal…I pulled it out at our first Ramble at Levon Helm‘s with Guy Forsyth! I suppose I was listening to a lot of finger pickers the night before, as the arrangement has that kind of walking-thumb-bass-line feel. It really brought it around full circle when we got to record it that way at Levon’s for this recording. Dust My Broom was recorded for Mike Nesmith’s book, The American Gene. We had so much fun recording it, he let us use it on Peace Meal, too! We could have picked any number of Dylan’s songs we have covered over the years, I just felt this version of Meet Me in the Morning filled a space that was stylistically unoccupied on the CD. Ray just let us go wild in the studio after we had finished tracking for the day, proving to me one should ALWAYS have the record button engaged when in the studio! 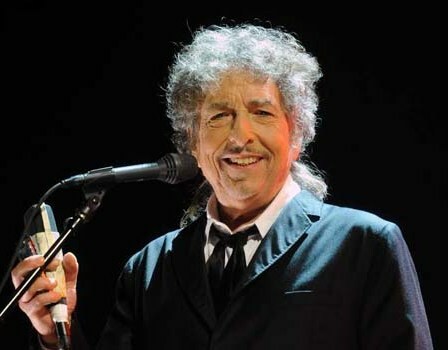 DATC: By the way, I’m a big Dylan fan myself and I loved the bluesy treatment you gave Meet me in the Morning. Carolyn: I am blushing! I hope the songwriter likes it too, or at least isn’t offended by it! DATC: What first drew you to the blues? 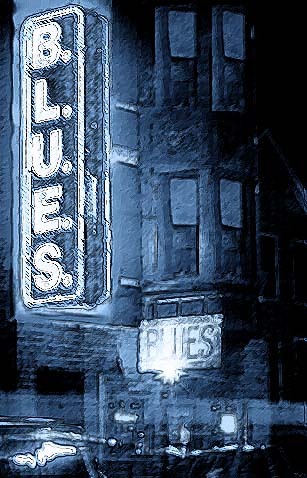 And what do you think it is about the blues that is so engaging for you and your audiences? Carolyn: When I was thrown out of school, it was the blues clubs that were most open arms – and less emphatic about ID checking! I loved the fact that anyone could get up on that stage and jam with anyone else with a basic understanding of blues forms. I love that it requires more soul and personality than intellect to inject yourself into the music. I love the people who let me stink up the place a few dozen times and am happy to back other folks while they go through that phase as well! I think it is honest music that can survive many treatments and still feel familiar to folks listening and playing. The discovery is often mutual. I was lucky to be in Houston, too. I got to sit at the feet of (and occasionally jam with) Jerry Lightfoot, Joe “Guitar” Hughes, Little Screaming Kenny, Grady Gaines, Trudy Lynn, Lavelle White, Allison Fisher, Teri Greene, Big Al Betis, Johnny “Clyde” Copeland, Little Joe Washington, the Sheetrockers… lots of great touring bands, too. I’d have to say it’s the soul of the songs and the people who get it that drew me to, and keep me flirting with, the blues. DATC: You give us some pretty cool guitar playing on the album – who would you say are the major influences on you as a guitar player? Carolyn: All the folks I have mentioned before plus folks who blew my tiny mind at live shows like: Danny Gatton, Clarence “Gatemouth” Brown, Johnny Winter, Albert Collins, Debbie Davies, Les Paul, the Paladins, Los Lobos, Larry Campbell, Charlie Sexton, Derek Trucks, Redd Volkaert, John X. Reed, Tracey Conover, Charlie Prichard, Sue Foley, Cindy Cashdollar, Alan Haynes, Susan Tedeschi, Bill Kirchen, Rosie Flores, Denny Freeman, Ruthie Foster, Jimmy Vaughan, Eve Monsees, Gary Clark, Jr. (who just seems to get more badass as time marches on). And then there are Chris Whitley, Buddy Guy, Hubert Sumlin, Van Wilkes, David Grissom, Townes Van Zant and one Billy F. Gibbons. I know that’s just a crazy list, but there’s even more that I have omitted! 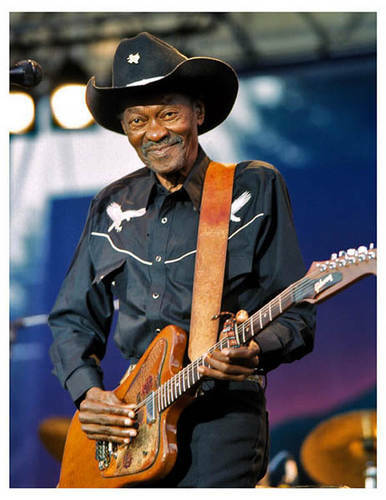 Plus there are the folks I never got to witness live, but wore out the recordings of like: Freddie King, Rory Gallagher, Frank Zappa, Mance Lipscomb and Lightnin’ Hopkins. Oh, and my Mom, for both teaching me my first three chords and for grounding me from using picks after I “Pete Townshended” her Martin! I may not have the style (or lack thereof) if I didn’t play bare-knuckled! DATC: Tell us a bit about the guitars you play on the album and on tour. 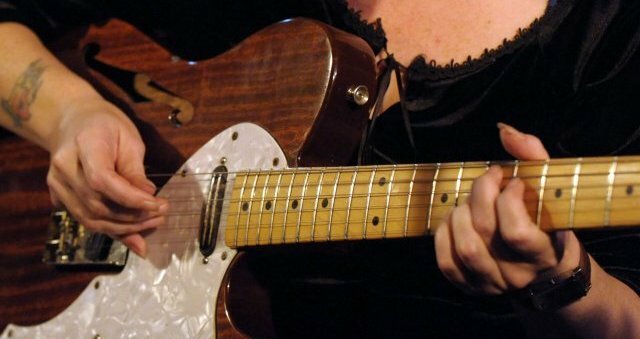 Carolyn: My main girl is my Tele. She’s a 50th Anniversary re-issue of the ’69 Tele. I put Joe Bardens in place of the standard lipsticks, and bam! there’s a guitar that can keep up with a Les Paul and still be clean enough for fingerpicking (ed’s note: a lipstick guitar pickup is a form of single-coil magnetic guitar pickup having its electronics totally encased in a chrome-plated metal tube). I recorded almost exclusively with it, as well. Sometimes, I’ll bring Patty, my BluesHawk, or Leslie Pauline, the Goddess guitar (it says so on the headstock in flaming red letters). For the lapsteel, I have a couple of nice vintage logs that I am too scared to tour with anymore, so I use a Morrell that you can paddle home with if you’re stuck upstream, and it fits with my Tele in one case for ease of flight travel! I borrowed Levon’s mandolin for the recording and Ray’s acoustic. I just got an Art & Lutherie for Christmas. So, I’ll be bumping into things on that this year, too! DATC: One reviewer said that Peace Meal was a “sacramental feast for the soul”. That’s certainly true of the song Only God Knows When – there’s no more obvious sign of grace than peace. What prompted you to write such a song? Carolyn: I had it rolling around in my head for over a year. I knew what I wanted to say, but it wasn’t as hopeful as I wanted and it was falling into my box of unthinking hand gestures on the guitar. When I finally got the lyrics to behave, it was Ray Benson who suggested I move it to another instrument to open it up. He was right, and now I have another song for the lapsteel! DATC: You’ve done a number of songs with spiritual overtones or gospel content – like Judgement Day Blues, Bloodless Revolution, Jesus It’s Gonna Be You, Gospel Song, e.g. And I know you’ve sung a lot of gospel songs with the Imperial Golden Crown Harmonizers. So let me ask you two things – first, how important is that spiritual side of life to you and secondly, how important is it to you as an artist to make a critique of the way the world is – like you do on Only God Knows When and Bloodless Revolution? I think we all are trying to make sense of the world we share. Spirituality is a common thread of hope. I am saddened by the insistence of war between brothers based on a limited understanding of what is meant to sustain us through times of trouble and doubt. My favorite parable of this is the three blind men with the elephant parts. It’s a sail! It’s a rope! It’s a tree! 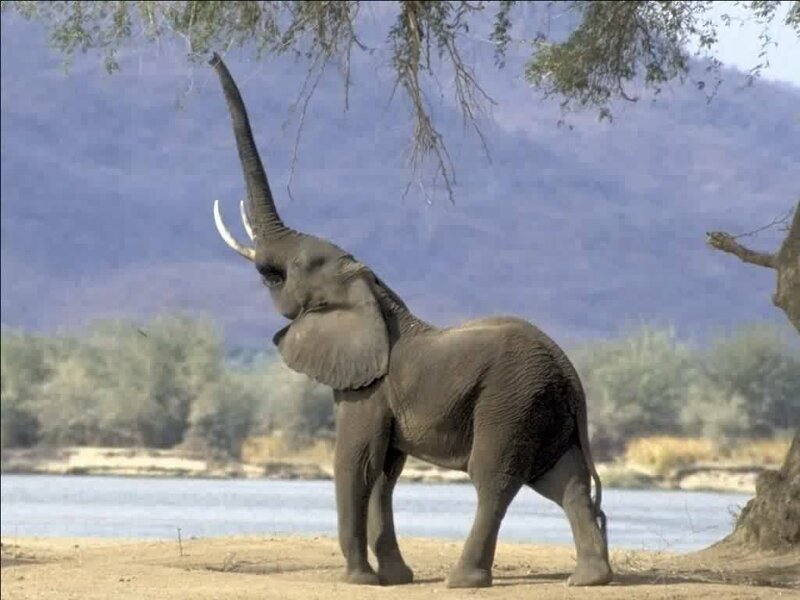 We may none of us be able to recognise the elephant, but it is here to be interpreted and shared. I hold out hope for a day when we actually look into each other’s eyes and see our brethren and honor all ideas regarding our tiny scope of God and the universe. Making life “as it is in heaven” is the one constant I carry from my youth. I still pray. I am agnostic, searching for unifying theories of love eternal (which is why I so love the writings of Joseph Campbell). It is everyone’s place to point out wrongdoings and celebrate life’s beauty with their art. When you feel it, let it bloom! DATC: You always seem to be working pretty hard. Any chance we’ll see you on this side of the Atlantic before too long? 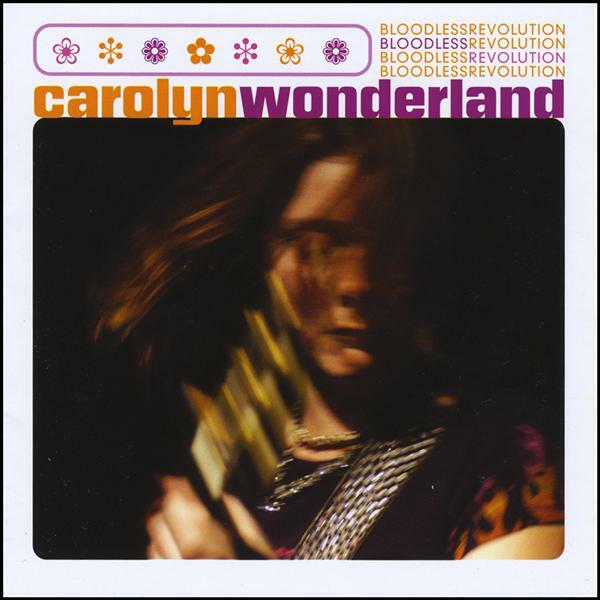 Carolyn: Oh, YES! We’ll surely hit Norway, Netherlands, Belgium, and any other place that’ll have us again this year. I try to get us over the water at least 2 or 3 times a year. Updates to our touring can be found at www.carolynwonderland.com or www.facebook.com/wonderchicken If we’re anywhere near you, please do come say hello. 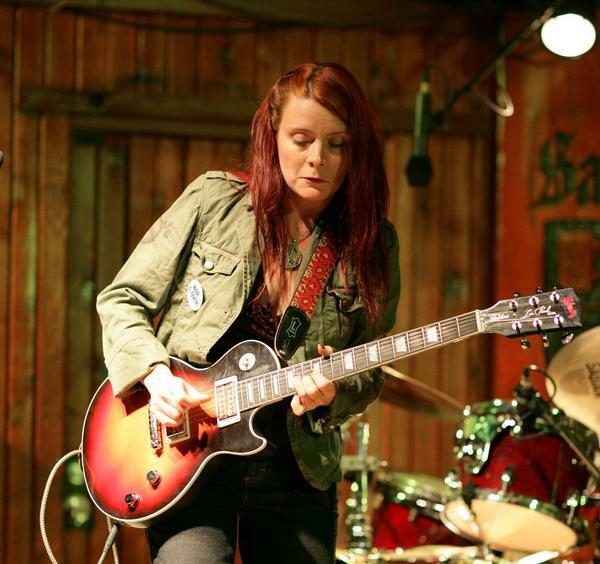 Passionate, gospel blues, with superb finger-picking and slide guitar. In probably his best work yet, we get wonderfully constructed songs, full of melody and grace, with outstanding singing. For courage, musicianship, performance and lyrical brilliance, it’s top of the pile for Down at the Crossroads. Walter Trout’s take on the ills of the modern world – bankers, politicians, useless gadgetry are all in his sights – 15 fantastic songs, sung with passion and laced with Walter’s stunning Fender Strat guitar licks. Stand-out track – Brother’s Keeper. 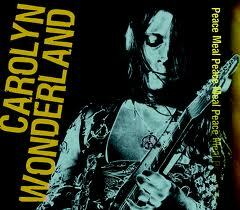 Outstanding album from Texas blues woman Carolyn Wonderland. Great take on blues classics like Dust My Broom along with a terrific set of self-penned songs, including the wonderful God Only Knows. Joe Bonamassa goes from strength to strength. His singing and playing just get better and better on songs that include Robert Johnson’s Stones in My Passageway and Howling Wolf’s Who’s been Talking? Return to his best form with a wonderfully, crafted and funky approach to the blues. Cray also takes a tilt at the dishonesty of the age with that ever so sweet voice. The artist that most people reading this will be most unfamiliar with. Houston is an Irish artist who has recently changed musical direction with this outstanding blues album, full of raw passion, great songs and clever lyrics. Oh, and a dose of the McClary Sisters as well for good measure. Rory Block’s tribute to Rev Gary Davis. 11 of his best religious blues & ragtime songs, including I Belong to the Band and I Am the Light of the World, arranged and sung by Block in the Rev’s own style. Wonderful, inspirational stuff. With the Texan’s bluesmen’s first album in nine years, we get no surprises – it’s all characteristically ZZ Top, in-your-face, knock-out grooves. On-form, blistering, just great. Ian Siegal, who gets better and better by the album, is joined by Cody & Luther Dickinson, Garry Burnside, Lightni’ Malcolm and Alvin Youngblood Hart. With that line-up this could hardly fail to be an outstanding album – top class blues with Siegal’s signature growling vocals stealing the show. Featuring a cover of Dylan’s I’ll be your Baby Tonight and Buddy Guy on I ain’t Gonna Be Your Tattoo, Shemekia fearlessly covers domestic violence, injustice and religious hypocrisy in a very fine set of blues songs. Standout feature of the album – Shemekia’s powerful, arresting, but superbly harnessed voice. Hugely enjoyable acoustic blues from two of the finest blues singers around. Great chemistry from the combination of these two contrasting voices with a wonderful gospel sound and lovely harmonies throughout. Guest appearance from Ry Cooder. The future of blues rock? Top class combination which includes Mike Zito, Devon Allman and Yonrico Scott delivers an outstanding set of bluesy, inspirational, soulful and funky songs. Top drawer stuff from a group of top class musicians. Fantastic live music from the Tedeschi-Trucks Band, featuring Derek Trucks’ sizzling electric slide and Susan Tedeschi’s sultry, emotive vocals. Bonnie’s first album in seven years doesn’t disappoint. Classic Raitt seductive singing and understated but effective slide guitar. Wonderful stuff, including two recent Dylan covers. Energetic, exciting blues from Joe Louis Walker. There’s some terrific guitar work here and the struggle between the devil and the Lord is graphically depicted in both Hellfire and I’m a Soldier for Jesus. Live set of the unique music of the Allstars, featuring Luther Dickinson’s uneven, but engaging vocals. Rough edged, country-tinged, down and dirty blues that makes you feel you’re right in the Delta. Outstanding album of “trance-blues” from Taylor, “a modern blues record that even non-blues fans can love and that blues fans can outright cherish”, as another reviewer put it. The superb Eric Bibb, one of the foremost exponents of acoustic blues, gives us an album that adds Creole and country influences from Louisiana. Eric is joined by a terrific set of banjo, mandolin, fiddle and accordion players to give us a classy and charming set of songs that includes gospel, blues and folk.